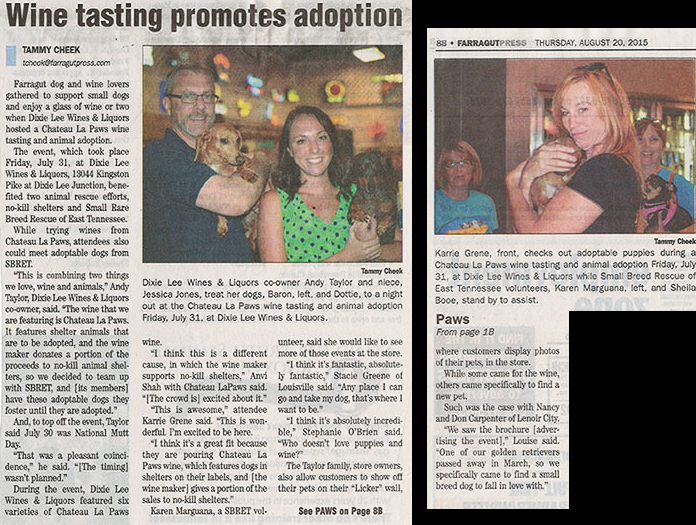 SONOMA, Calif., Sept. 29, 2015 /PRNewswire/ -- Chateau La Paws™ Wines expands its portfolio today nationwide with four new wine varietals and a sustained mission to support rescue dogs in need, helping them find a permanent chateau of their own. The new varietals, Cabernet Sauvignon, Sauvignon Blanc, Merlot and Sweet Red Blend, offer a deeper portfolio for wine enthusiasts to explore alongside their favorite meals while supporting their furry friends. Cute puppy dogs on labels are of course eye catching, but this bottle was like visiting an old friend. I remember when this wine first came out and I hadn’t seen it in a while, so as the story goes…it just followed me home that day. Behind the label is a man I had the pleasure of meeting a number of years ago. Kent Rosenblum, who many may not know was a veterinarian in the early 1970’s before diving into the wine industry and founding his namesake winery in 1978 with his wife Kathy. Though Kent Rosenblum never had vineyards of his own, he is a passionate and charismatic guy who has some very long standing relationships with growers throughout California. SONOMA, CALIF. (Feb. 10, 2015) – Chateau La Paws™ Wines, a newly re-launched wine brand, was released today combining the company’s love of dogs with delightful wines to create a delicious, easy drinking wines with a purpose. The mission is simple: wine lovers joining DC&E in supporting rescue dogs in need, helping them find a permanent chateau of their own.